Color Gray, White, Black etc..
Boss Acrylic Color Spray is designed for both interior and exterior use. Paintable sealant forms a tough, flexible, resilient bond to all building material surfaces. It has excellent resistance to water, weathering and moisture vapor. Cures to produce a flexible seal that is non-yellowing. 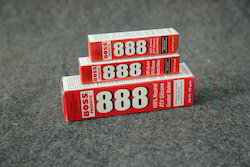 Boss 396 Natural Silicone Sealant is a onepart moisture curing neutral silicone adhesive sealant specifically formulated to offer outstanding adhesion to most building materials. It adheres to glass, metal, painted surfaces, aluminum, galvanized steel, stone, concrete and masonry surfaces.